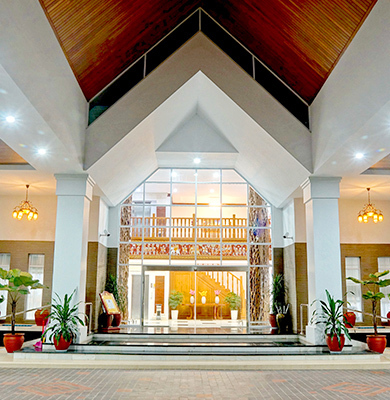 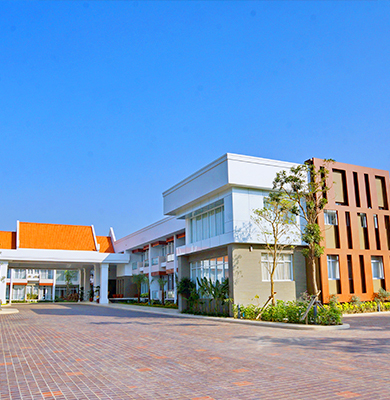 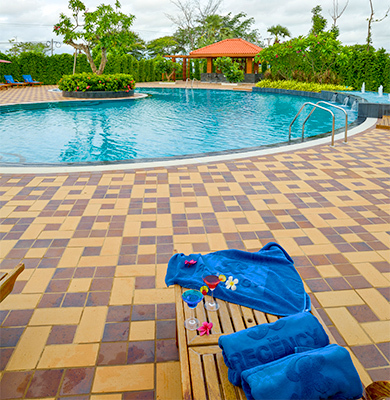 Outdoor swimming pool in Bagan,The Regency Hotel Bagan, 3-star hotel spacious rooms in Bagan. 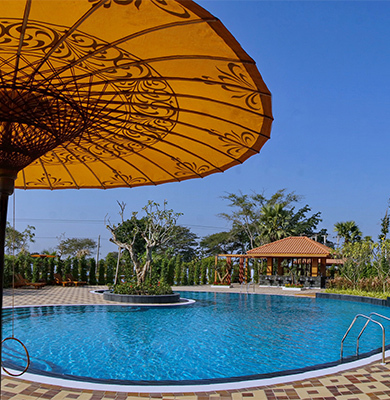 The tropical climate in Bagan makes outdoor swimming attached with Indoor Jacuzzi a pleasurable pastime. 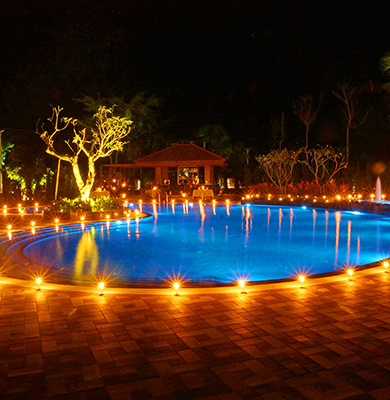 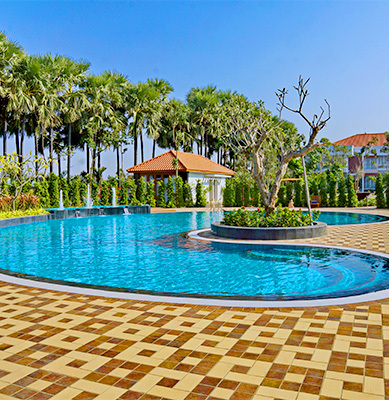 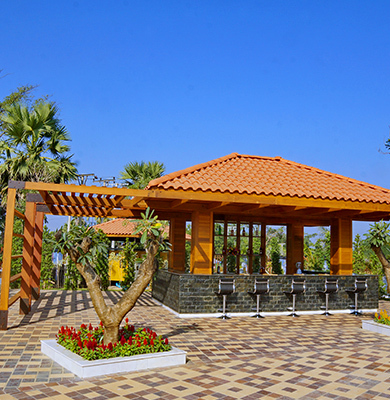 Our outdoor swimming pool provides hours of leisurely swimming to the hotel residents. 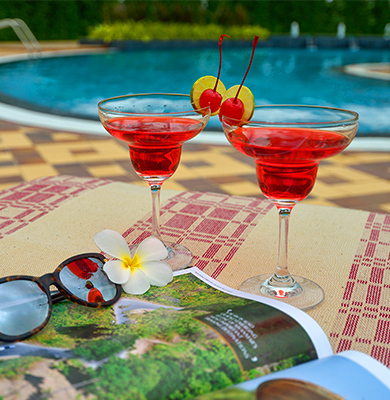 Enjoy a cocktail, fresh pastries and beverages overlooking the lovely pool of The Regency Hotel. 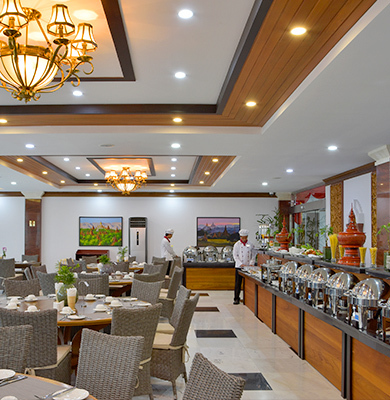 Main dining room with capacity for up to 80 guests and daily inclusive breakfast is served at your services. 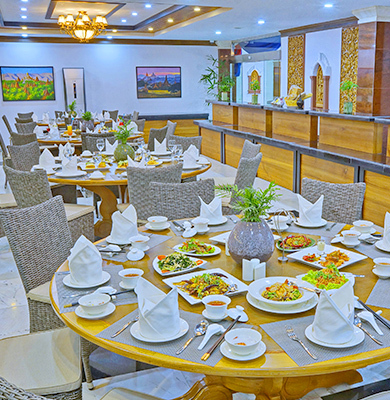 The Luncheon and Dinner with Western and Oriental cuisines can be ordered in À La Carte menu. 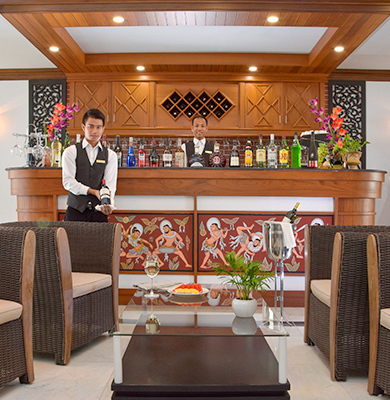 Our bar offers a range of beverages ranging from different beers, soft drinks, fresh juices to exotic cocktails and special shots. 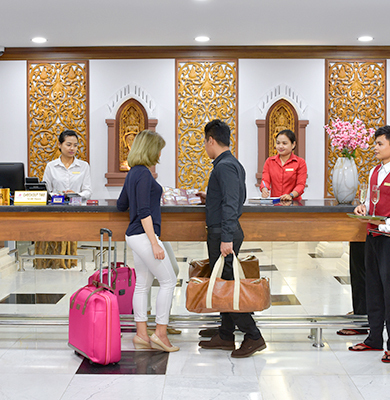 Our 24 hour reception has staff on hand to assist with your request such as dry cleaning, sightseeing bookings, car rental and room service. 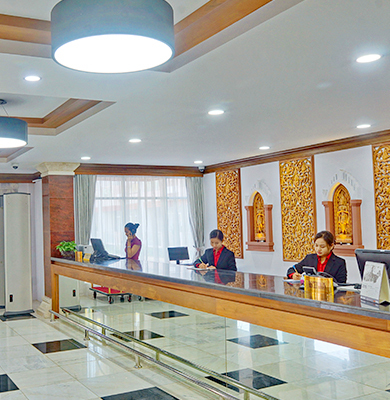 The housekeeping department offers a professional laundry service and at an extra charge. 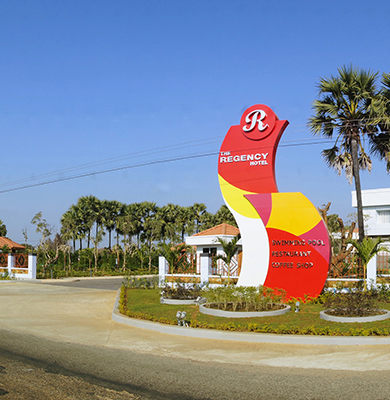 Guests will have to sign the laundry request form attached to the laundry bag, available in every room. 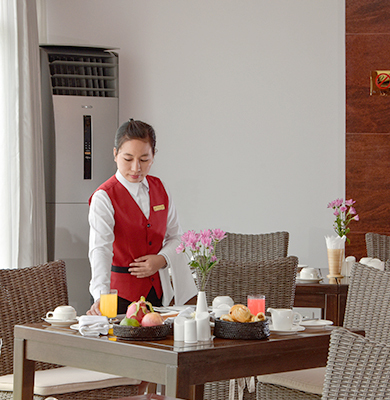 Register your wake-up call by contacting the reception for no extra charge.